Make Sure Your Pre-Workout Supplement Has These 4 Ingredients! Pre-workout supplements can give you an extra push in the gym, but it’s easy to get lost in the sea of names and packaging. Start simple—and strong—with these 4 key ingredients! Looking for an added edge in the gym? Pre-workout supplements are a great place to start! The trouble is, if you’re new to the supplement world, it can be incredibly difficult to sort through the mountain of choices, labels, and ingredients. With all the hard-to-pronounce compounds and extreme marketing, it can feel like you’re drowning—and all you wanted was a solid edge to hit some nice PRs or increase your training energy! Don’t worry, I got you. When searching for or building my own pre-workout, I like to focus on four key ingredients—or, as I call them, “The Big Four.” While each of these ingredients has multiple benefits, I’m going to focus on how important each one is to conquering your next training session. Yes, there are many other supporting ingredients available in pre-workouts, but these four have the most scientific research backing their use, which is why I suggest starting with this bunch of ingredients above any others. Next time you hit the pre-workout market or start gathering ingredients for your own killer pre-workout blend—make sure you give it a solid name!—reference this list first. It will help you decide which ingredients and doses you really want, and why you want them. Benefits: Caffeine has repeatedly been shown to be an effective ergogenic aid (performance booster) in both endurance exercise and short bouts of maximal exercise (e.g., sprints). Although there haven’t been many studies showing increases in one-repetition max, caffeine has been shown to increase workloads by decreasing the rate of fatigue and lowering the perception of effort—even in sleep-deprived situations! And remember, more workload means greater gainz! Caffeine has repeatedly been shown to be an effective ergogenic aid (performance booster) in both endurance exercise and short bouts of maximal exercise. It is important to note that doses will vary from person to person. If you are a habitual caffeine user, you are going to need more to get you up. If you aren’t, well… you won’t. You are going to have to play within the ranges so you can figure out what works best for you. Finally, if you work out at night, pay attention to how much you take. The effects of caffeine might take a while to wear off, keeping you up at night. And you need sleep so you can grow! Why Number 1? You are going to need energy to get through your workout. Caffeine is a quick source to get you on your game and ready to crush some weight. 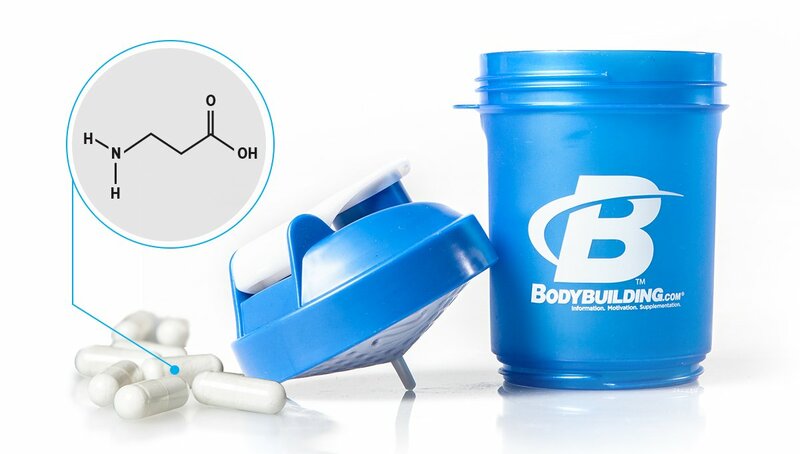 Benefits: BCAAs—leucine, isoleucine, and valine—are key when it comes to regulating protein metabolism, increasing protein synthesis, and suppressing protein breakdown. It is important that you get the right ratio of leucine to isoleucine to valine. You are looking for 2:1:1, respectively. 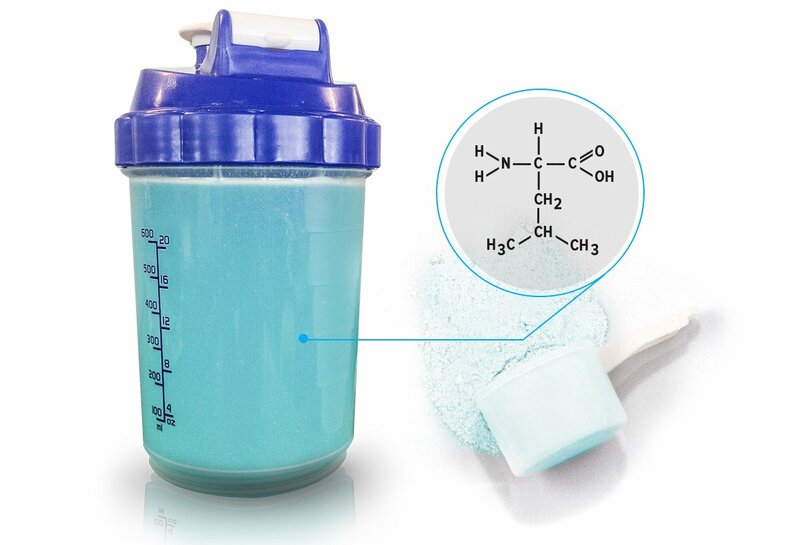 BCAAs— leucine, isoleucine, and valine—are key when it comes to regulating protein metabolism, increasing protein synthesis, and suppressing protein breakdown. Leucine is king in this situation because it has been shown to stimulate muscle protein synthesis, so that’s why it should be the highest amino acid in your blend. Looking for roughly 3 g of leucine per dose of your BCAAs is another effective way to shop. Why Number 2? BCAAs give you some immediate protection against the catabolic environments produced when exercising. Moreover, drinking BCAAs may help decrease delayed onset muscle soreness (DOMS) the following day so you can get back to training hard faster. Benefits: This is another ingredient that can help improve your overall training volume, but it works by buffering hydrogen ions (H+), giving you the ability to keep your intensity up for longer periods of time. In other words: more volume; more gains. Beta-alanine is excellent for pumping out extra reps and squeezing the most out of your workout. If you take a larger dose of beta-alanine, you will most likely experience a tingling sensation. Don’t worry, your skin isn’t melting. You are experiencing what’s called “paresthesia,” and it is completely normal. If you’re not a fan of the feeling, consider splitting your dose into smaller portions to take throughout the day. Why Number 3? Beta-alanine is excellent for pumping out extra reps and squeezing the most out of your workout. The reason I have it at number three is because you don’t need it right before you work out. As long as you are taking it throughout the day, you will still build up your stores and increase your ability to buffer H+. Benefits: Creatine is the ingredient that is going to help most with your lower-rep workouts. Simply put, it helps saturate your muscles with the substrate (energy source) needed to produce a fast, big energy pump required for those really big lifts. 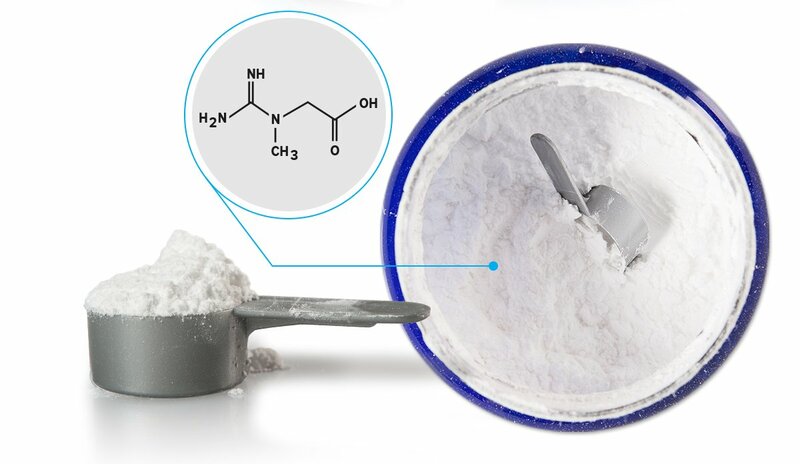 Simply put, creatine helps saturate your muscles with the substrate (energy source) needed to produce a fast, big energy pump required for those really big lifts. Note the dosage range. Huge, right? The reason is that most manufacturers suggest a “loading” phase to speed up the saturation process. This process is typically prescribed for about a week, and then dropped down to a “maintenance” phase at about 5 g per day. Honestly, if you are not looking to do a super-fast bulk phase, you don’t need the 20 g. Just stick to the 5 g, which is about 1 teaspoon. Why Number 4? Creatine is an amazing ingredient. I mean, I really love this stuff. I put it down at number four because, as with beta-alanine, you can really take it whenever you want. To date, there has only been one study showing a benefit, albeit a minimal one, to taking creatine post-workout. The majority of the literature suggests that the timing of creatine has very little influence on strength. Until more supportive evidence comes out, I say take creatine when you want and focus on the others in “The Big Four” for your pre-workout. There are a lot of these ingredients on the market today. As such, there are a lot of dosing recommendations, depending on which one you prefer. I personally tend to stick to pomegranate extracts, which are a dietary source of nitrates that have been shown to enhance blood flow and delay fatigue in highly active individuals. I suggest focusing on pre-workout ingredients in the order I’ve proposed here. However, I cannot stress enough that these ingredients are placed in this list, in this order, for pre-workout importance only. Each of them has multiple benefits in different scenarios. When you go to buy your next pre-workout, make sure that the product contains enough of the aforementioned ingredients, or it may not be as effective as possible for your purposes. Additionally, if you have or find a pre-workout that contains a proprietary blend—a blend in which the ingredients aren’t listed separately, but are lumped under a total amount—the individual doses of the ingredients are fixed. In this case, it can be hard to determine how much of each ingredient is included, but you can always supplement your pre-workout with a little more of any ingredient that may be lacking in your mix. Finally, let’s talk about timing. Most pre-workouts should be taken roughly 30 minutes before getting to your workout. I typically drink mine while driving to the gym or getting ready in the locker room. This ensures that all the ingredients start to metabolize and become ready for use by the last set of my first lift, which is when I really need it. Now, armed with “The Big Four,” go forth and hit your best lifting session to date! Cook, C., Beaven, C. M., Kilduff, L. P., & Drawer, S. (2012). Acute caffeine ingestion’s increase of voluntarily chosen resistance-training load after limited sleep. International Journal of Sport Nutrition and Exercise Metabolism, 22(3), 157-164. Shimomura, Y., Inaguma, A., Watanabe, S., Yamamoto, Y., Muramatsu, Y., Bajotto, G., … & Mawatari, K. (2010). Branched-chain amino acid supplementation before squat exercise and delayed-onset muscle soreness. International Journal of Sport Nutrition, 20(3), 236. Smith, A. E., Walter, A. A., Graef, J. L., Kendall, K. L., Moon, J. R., Lockwood, C. M., … & Stout, J. R. (2009). Effects of B-alanine supplementation and high-intensity interval training on endurance performance and body composition in men; a double-blind trial. Journal of the International Society of Sports Nutrition, 6(1), 1-9. Antonio, J., & Ciccone, V. (2013). The effects of pre versus post workout supplementation of creatine monohydrate on body composition and strength. Journal of the International Society of Sports Nutrition, 10(1), 36. Trexler, E. T., Smith-Ryan, A. E., Melvin, M. N., Roelofs, E. J., & Wingfield, H. L. (2014). Effects of pomegranate extract on blood flow and running time to exhaustion 1. Applied Physiology, Nutrition, and Metabolism, 39(9), 1038-1042.
http://brainandbodysupplements.com/wp-content/uploads/2016/08/brainandbodysupplements-845x684.png 0 0 brain http://brainandbodysupplements.com/wp-content/uploads/2016/08/brainandbodysupplements-845x684.png brain2016-08-19 14:25:152016-08-19 14:25:15Make Sure Your Pre-Workout Supplement Has These 4 Ingredients! http://brainandbodysupplements.com/wp-content/uploads/2016/08/brainandbodysupplements-845x684.png 0 0 brain http://brainandbodysupplements.com/wp-content/uploads/2016/08/brainandbodysupplements-845x684.png brain2016-08-16 15:12:322016-08-16 15:12:32Hello world!